Before going for causes of back pain let’s understand what is back pain? And why it occurs and what is the root cause of back pain. Back pain starts with a dull ache in the lower back of the individual which increases gradually followed by punching pain or kind of burning sensation in the lower back of the individual. It commonly affects the adults between the age of 30-35 years and out of ten percent of adults nine percent are affected at any time in their adulthood. Back pain can be divided into three types like acute, subacute and chronic depending upon the severity of the condition. The acute condition usually persists for 3 months while subacute lasts up to 2 to 3 months and the chronic pain stays for more than 3 months. If the pain is in the upper region than it is associated with inflammation of the spine, aortic tumors and If the pain occurs in the lower back region than it affects the lumbar region, vertebrae, discs, spinal cord, ligaments, and nerves. Elderly people are more likely to get back pain. Females get this pain in the early age than males and they are more likely to get the pain. Strain in the muscles of the lower back . Injury to the ligaments around the spine. 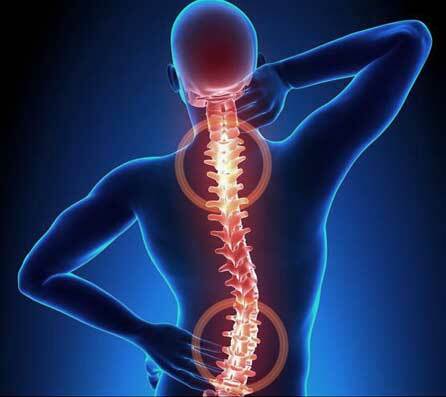 Back pain through daily activities includes sitting in a hunched position before computers, lifting heavy things, driving for long hours without a break, stretching something, bending awkwardly for a longer duration of time, sleeping in irregular posture, sleeping on a hard mattress, sleeping without a mattress. PID (pelvic Inflammatory Disease) in females also causes chronic back pain. Spine- cancer or tumor in the spine results in back pain. Irregular sleeping patterns result in the back pain. 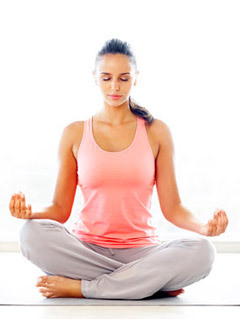 Yoga Asanas- thirty minutes of yoga early in the morning definitely saves you from the costly treatments for back pain and provide long-term benefit to the patient chronic back pain sufferers within 11 weeks of yoga. Do Exercise- Perform simple exercises include it in your daily activities which help you stay active and avoid painful problems. Proper Massage- They have been proven results that the person who had massage got reliever earlier than 12 weeks the person who did not have a massage. Acupuncture- Consult a physician before this therapy and see the drastic results of improvement in the lower pain when compared to the person receiving conventional treatment. Good Body Posture- Maintaining good body posture is essential while walking, sitting, running as well as standing gives proper care and support to the muscles of the back. Use heat and cool compress- Use of heat compress and cool packs provides symptomatic relieve within 48 hours of usage. If they are any injury then physician recommends cold compress and if they are any swelling then there is the use of heat compress in the region. Try relaxation therapy- Go for relaxing spa treatment, meditation, and rejuvenating massages work wonders on the back pain. Previous Lighten your Dark Lips Naturally! Next Top 9 Home Remedies to Grow Eyelashes Longer Naturally!